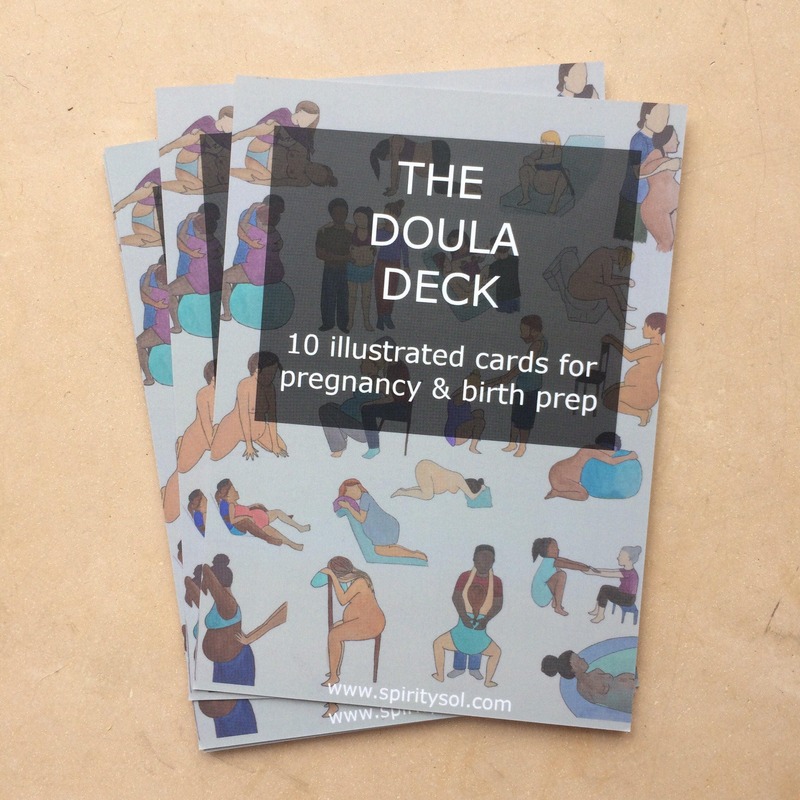 The Doula Deck- 10 illustrated cards for pregnancy and childbirth preparation. 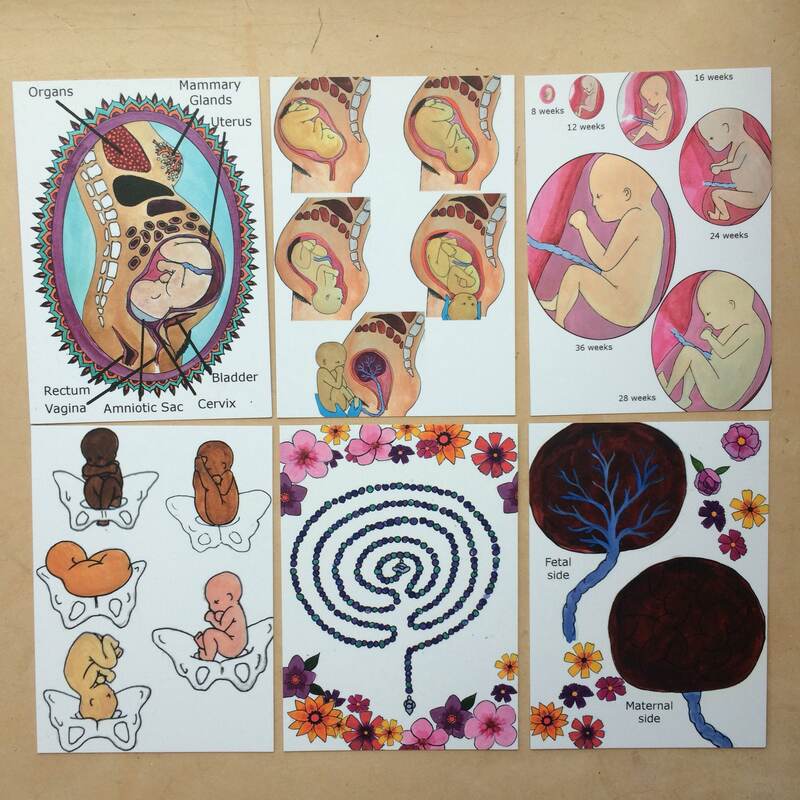 These large, colorful cards are perfect for demonstrating the different stages of birth, fetal presentation, and optimal birth positions. 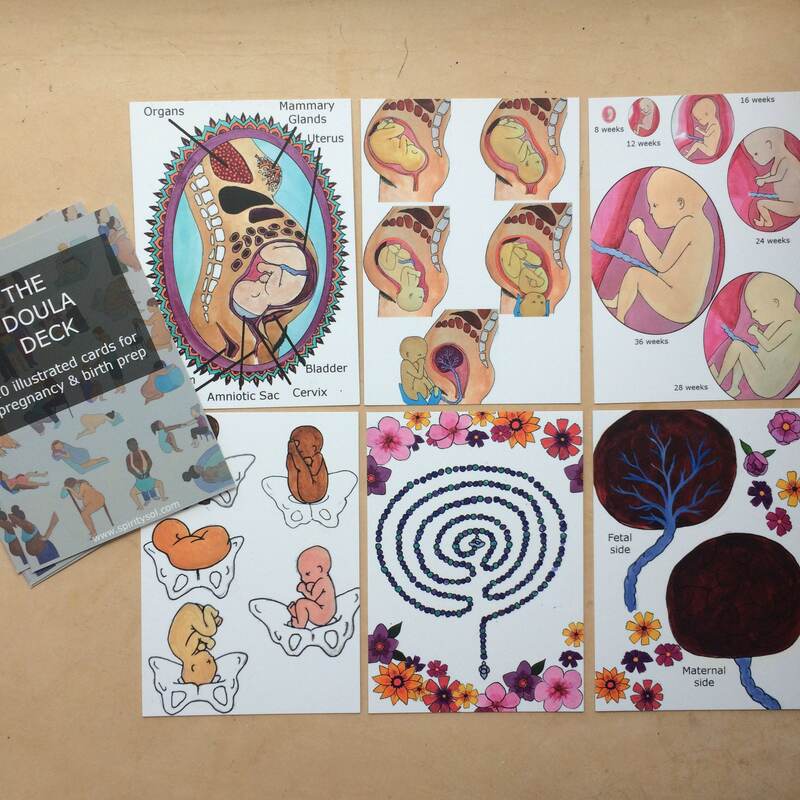 One of the cards features a finger labyrinth that you can use with your clients during birth- helping them calm and center themselves. These cards are intentionally created with minimal text to allow you to adapt them to fit your needs as a doula, midwife, or other worker. Expectant mamas can also use these cards as a pocket guide to birth positions and the labor process! Cards are printed on sturdy, smooth, high quality card stock. Each card measures 5" x 7" - set includes 10 individual cards.